Antlers, horse art, and textured pillows are a do! Target never fails to disappoint. 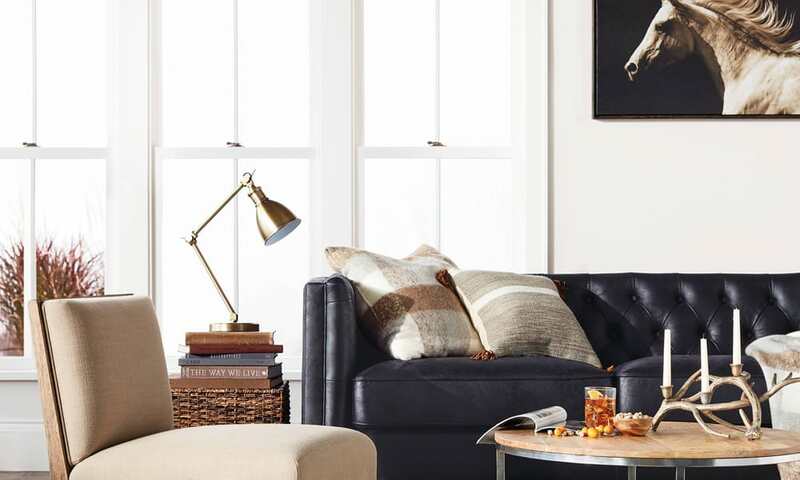 I am currently drooling over their masculine home living room collection by Threshold. It’s packed with neutral shades, lots of texture, and natural materials. If you are looking for pointers on how to decorate a home that’s husband friendly, take notes. Here are five awesome pieces you just might want to start decorating with. 1. 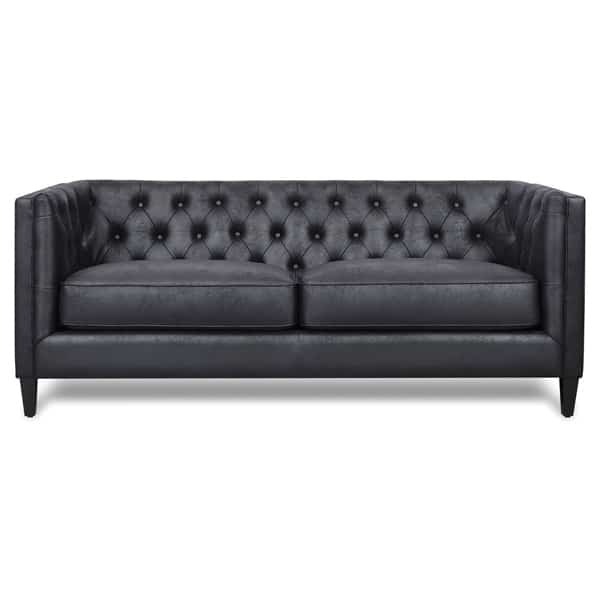 Black leather tufted sofa – The ultimate guy friendly piece. You can put it in the living room, but he will secretly want this in his man cave. 2. 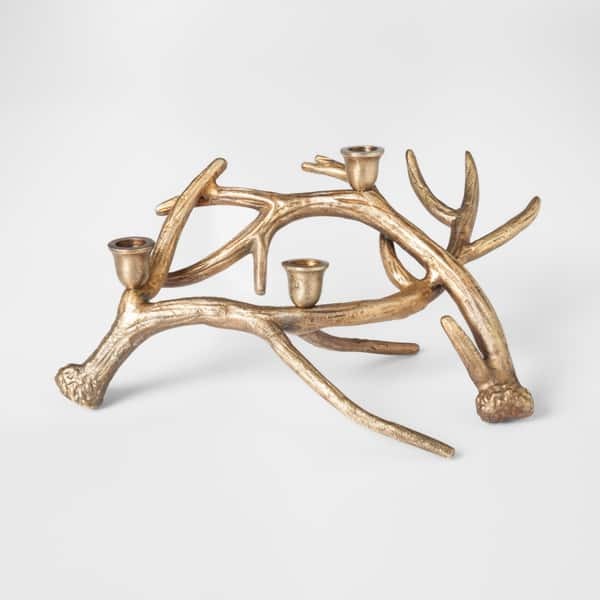 Metal antler candelabra – This decorative piece is perfect for the coffee table or mantle. 3. 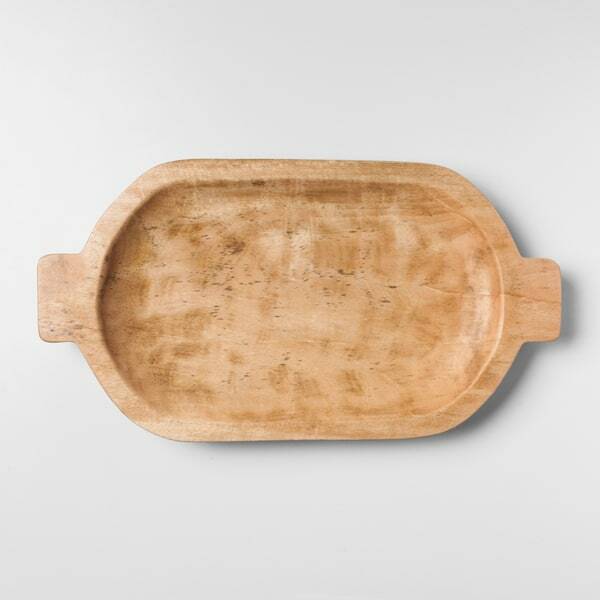 Wooden dough bowl – Wood adds a warm and welcoming rustic touch. 4. 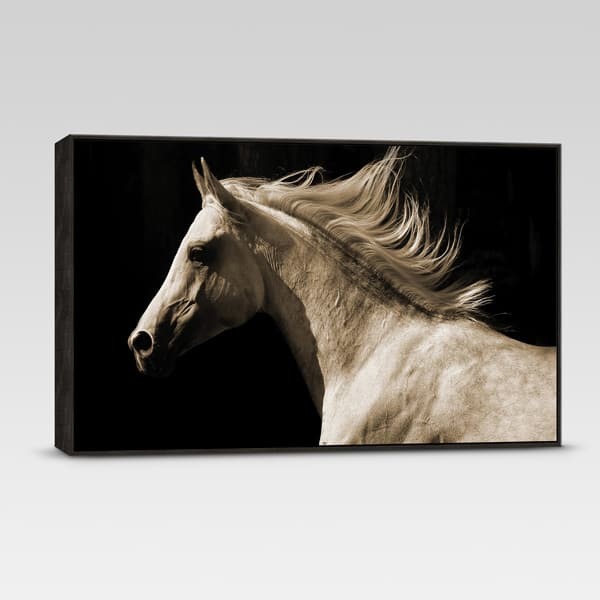 Sepia framed horse canvas – Dark art really pops against light walls. 5. 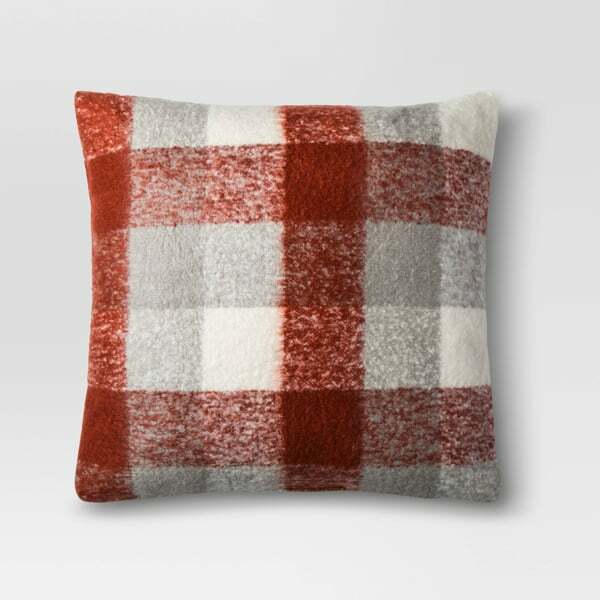 Faux mohair plaid pillow – Plaid is a man approved print.